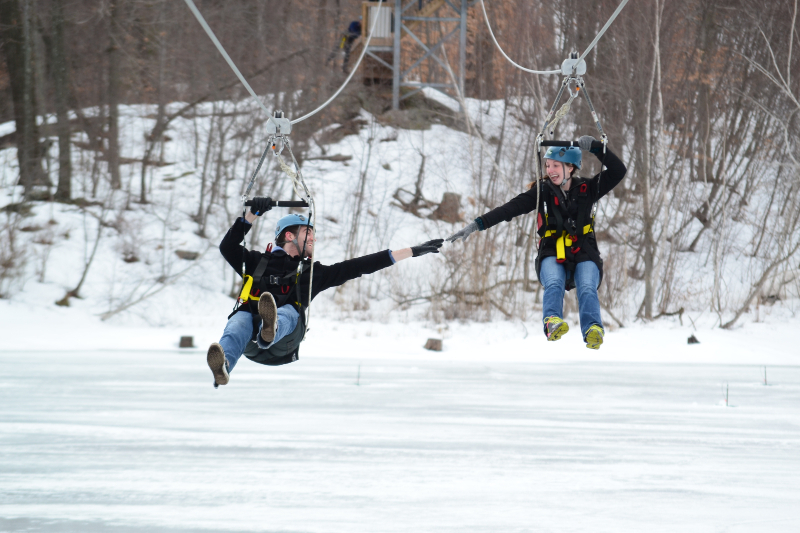 Did you know you can zipline in the winter here in New Jersey? 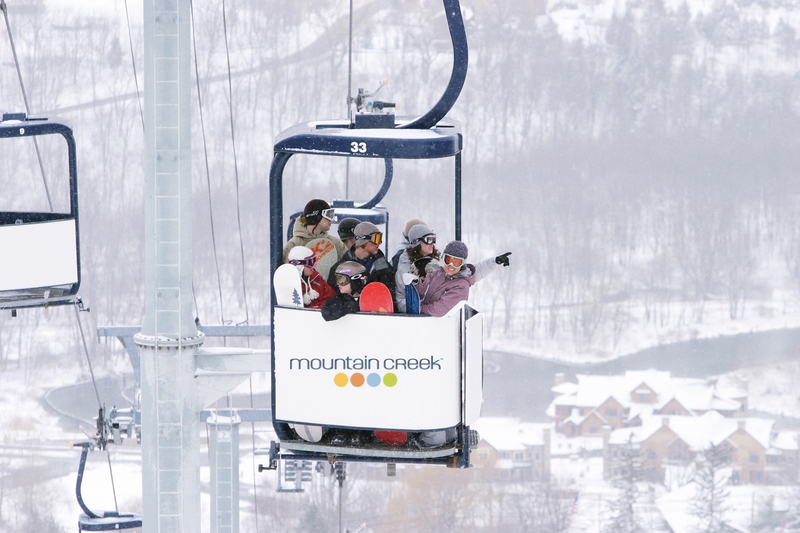 You bet – right next door to Alpine Haus B&B at Mountain Creek Ski Resort where Zoom Ziplines operates all year long. 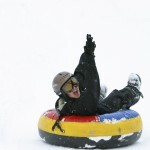 They are offering a great Zipline and Snow Tubing Package. 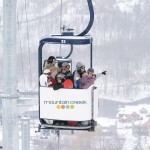 The zipline adventure is a guided tour which starts with a ride up the gondola to the top of the mountain. You get to ride with the skiers and see the ski runs during the ride to the top. You are then taken on 3 zipline rides over a mountain lake. Each ride is from 750 to 1500 feet long and up to 200 feet high. At the end you ride in a Unimog back to the gondola where you ride down the mountain. 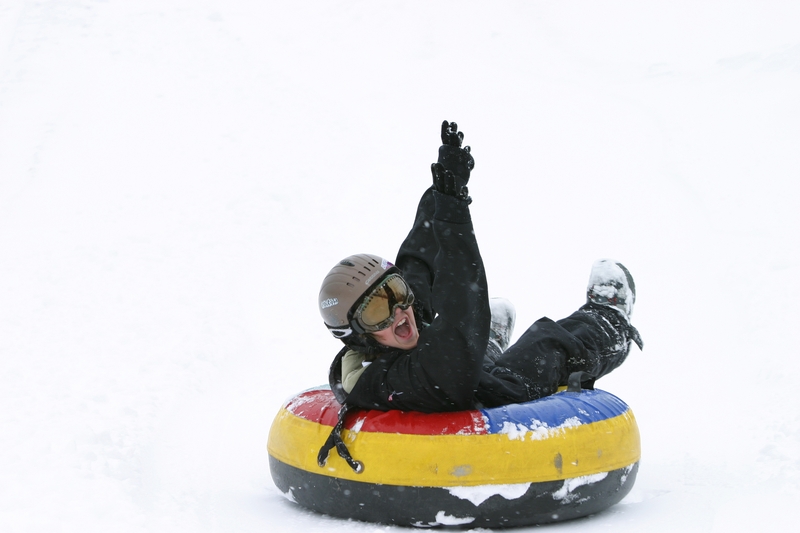 Snowtubing is two hours of great fun sitting on a large inner-tube sliding down the mountain. They have groomed 30 specialized tubing lanes. Remember sledding when you were young, the worst part was climbing back up the hill with your sled. Well here you don’t have to walk back to the top, you ride on a magic carpet with your inner-tube. The package price is $75 for adults and $65 for children (height restrictions apply). Package expires March 10. Click here for more information and to make reservations. Be sure to look at our Check Availability link first so you can plan a nice getaway.